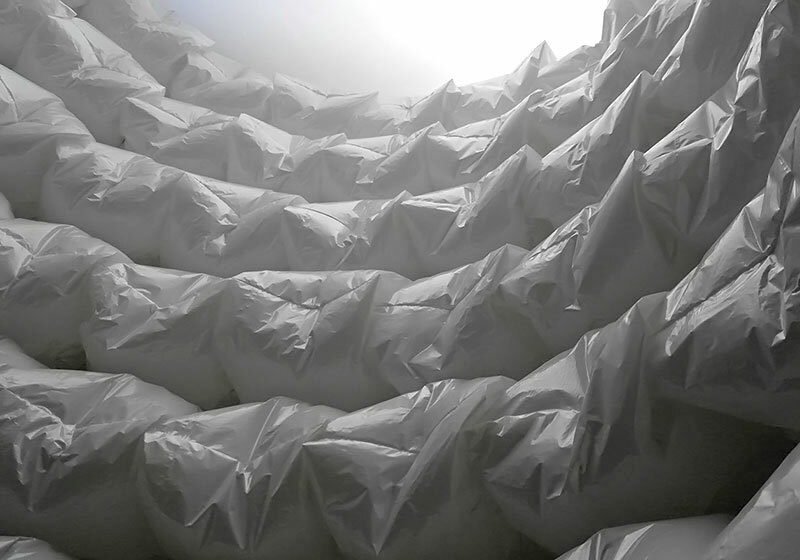 A site specific installation for the Tollwood Festival in Munich (Germany). 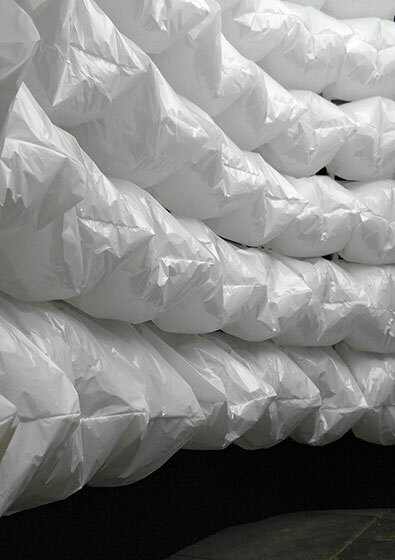 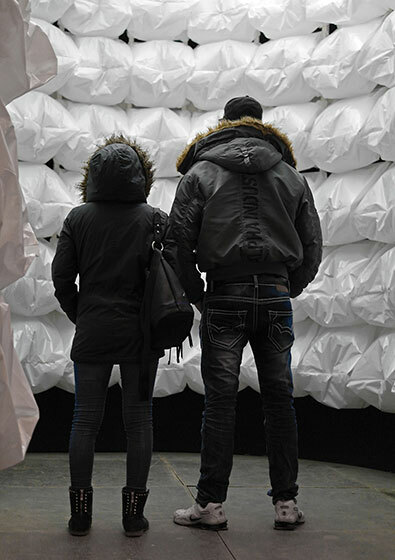 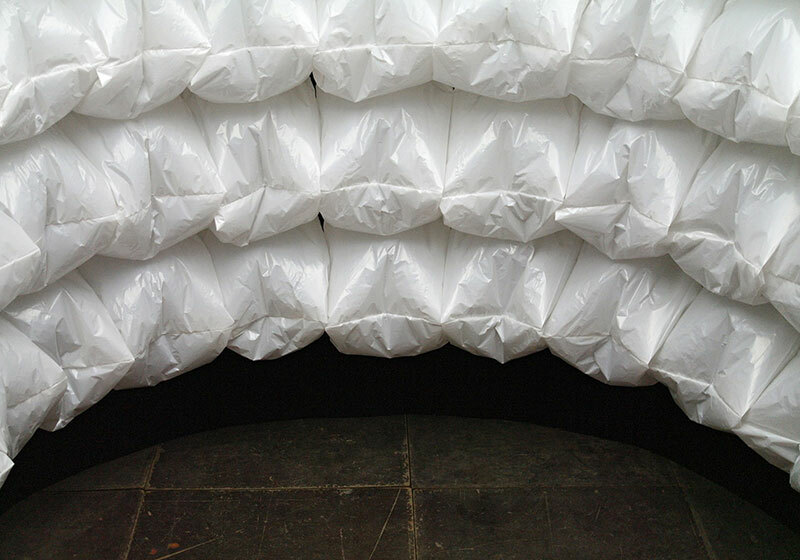 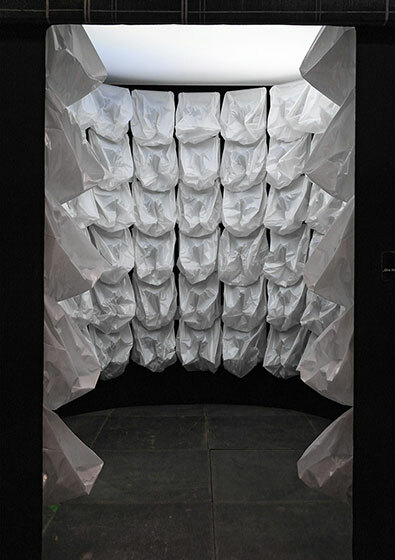 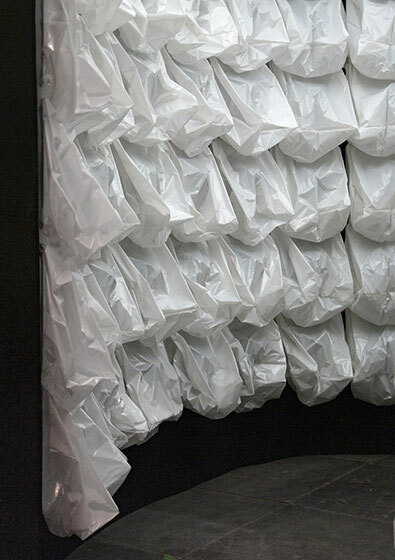 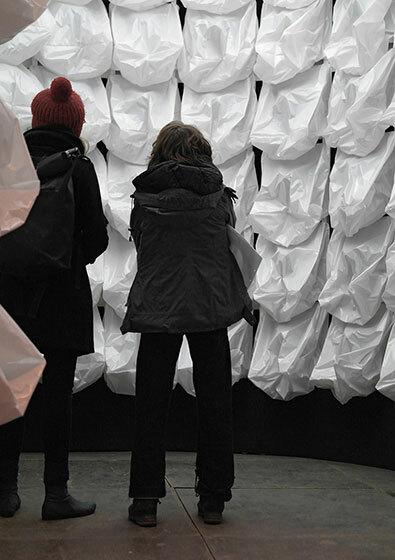 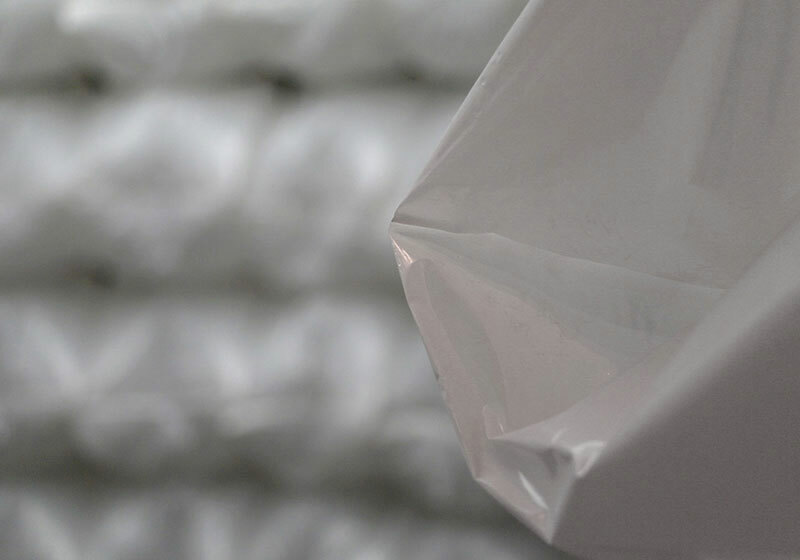 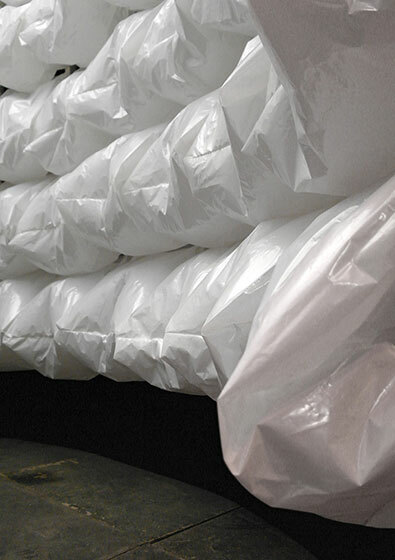 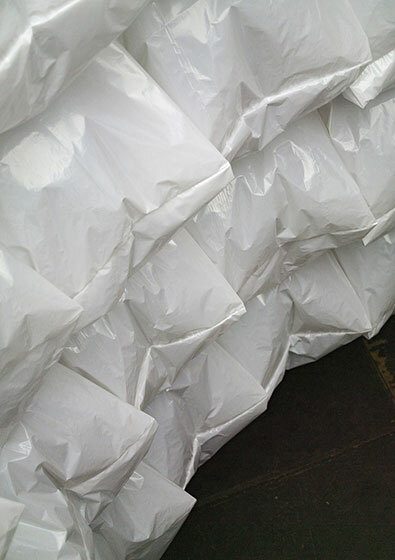 The installation consists mainly out of white garbage bags which surround the visitor almost completely. 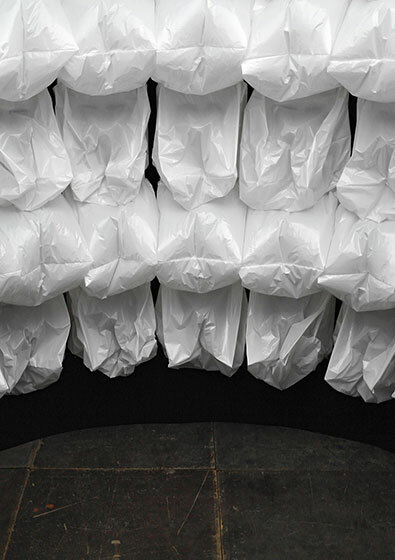 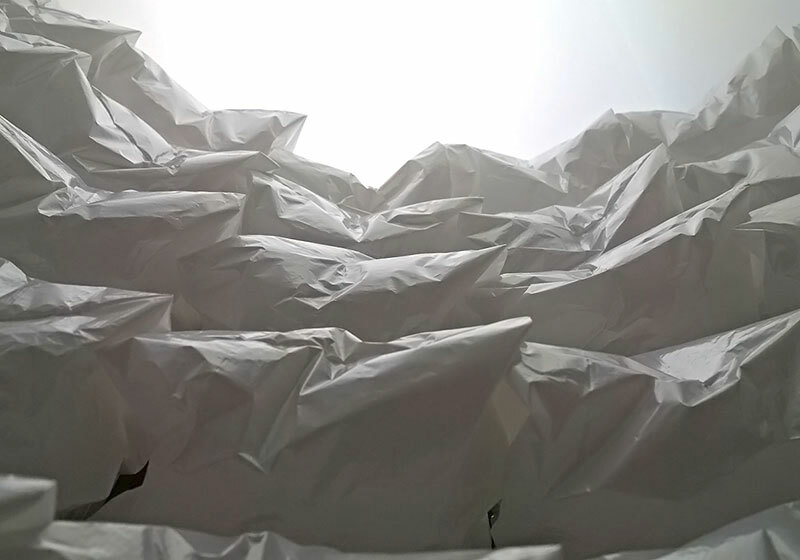 The garbage bags are selectively inflated and deflated in controlled rhythms, creating wavelike animations across the wall and an immersive soundscape of sizzling sounds enclosing the betrayer from all sides.